Today we are pleased to present to your attention Free Honey Jar Bottle PSD MockUp in 4k.Create a realistic presentation of the design of a label for a jar of honey with this unique mockup. 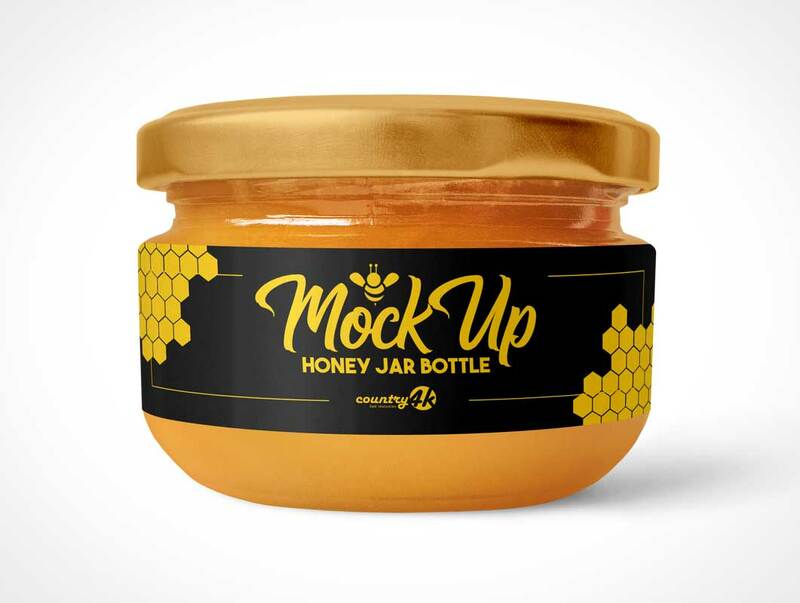 Since this realistic mockup glass jar of honey is fully customizable. After all, the PSD file consists of smart objects, which means that you can easily replace the current label with your own. Therefore, create presentations, promote your brand, develop your corporate identity and make your ideas truly recognizable.